13,5 million documents revealed how 350 million euros have been hidden in tax havens in the Caribbean and Pacific islands from 1950 to 2016. Earlier this week, we wrote about how popular figures such as Queen Elizabeth II and renowned brands like Nike appeared in the documents. And like the “Panama Papers” we owe the International Consortium of Investigative Journalists for the momentous investigation. Founded in 1997, the consortium is made up of more than 200 journalists based in 70 countries that work together on sizeable investigations. 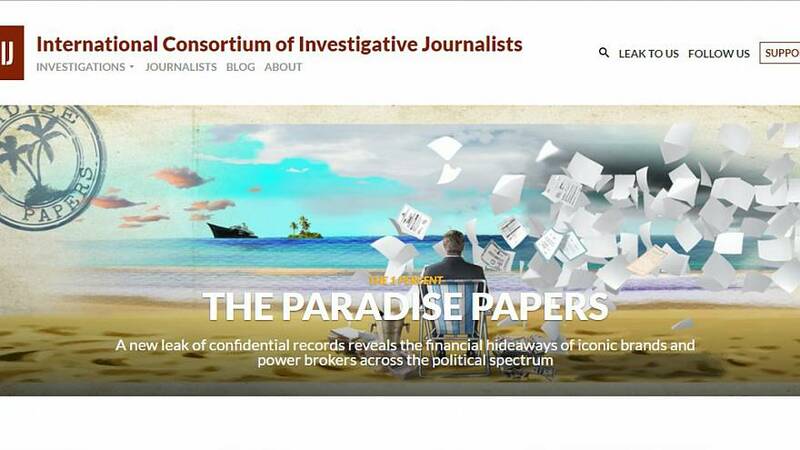 We talked with Venezuela journalist Emilia Díaz Struck who leads ICIJ’s cross-border investigations to understand the organization behind an investigation like the “Paradise Papers”. How much time does it take to study each document? E.D.S: The investigation took a year and we still have stories to unveil. The documents are complex, some are inter-connected and you have to take into account the reporting time spent on the documents. We have to search for information on public databases, other published documents, demands, and interviews with experts, primary sources, and comments from the people or companies mentioned in the document. It’s a long process. How many journalists with different nationalities worked on the investigation? E.D.S: Journalists from more than 60 countries worked on the investigation. How did you organize yourselves? In teams? E.D.S: We had a meeting in the headquarters of the German newspaper Süddeutsche Zeitung at the beginning of the project and we kept in contact through a secure messaging application. We used other secure platforms to share documents and visualize results from data that could be useful for the investigation. We shared everything but each journalist chose what to publish based on their national interest. E.D.S: ICIJ is a non-profit organization and our donors can be seen on our website. We don’t accept money from governments and we don’t pay journalists working on the investigation. Each media outlet has to pay their journalist to take part in the project. How does the ICIJ help the investigative work of a journalist instead of a single national media?